HeiScope Articulating Arms are a great feature for those that need the extra working space. 360° of free revolution in the horizontal direction makes the arm user friendly. 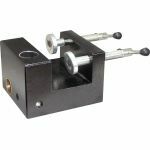 Opening size of clamp is 1.575"(40mm). 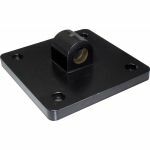 Diameter of mounting hole in the front of horizontal bar is 5/8"(15.875mm). Maximum bearing load on the front of horizontal bar is 21lbs(9.5kg). Weight:12.78lbs. 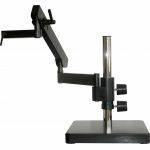 The HeiScope Articulating Arms Stand is industrial grade and offers quality performance. 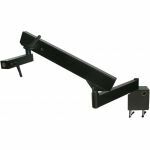 Purchase HEIScope Flexible Articulating Arms sold by Howard Electronics Today! 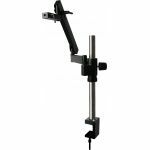 HEI-AA-CS ST02071203 HeiScope Flexible articulating arm on Clamp Stand.